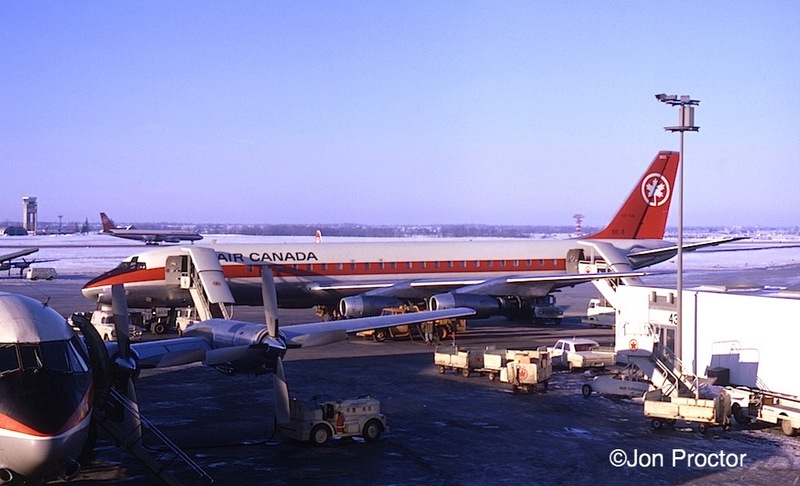 Seen on a transit stop in Toronto is the Air Canada DC-8-43 that brought me back to LAX on January 21, 1968 after a winter visit to Montreal. A trip report will follow. Over the years, I submitted service evaluation reports covering my own company’s flights as well as those of competing carriers. Unfortunately I didn’t keep copies of them all, but some survived and will be posted here as I get a chance to reformat the files and add pictures. In addition, I’ll toss in a few from other authors that I think you’ll enjoy. Like the entire website, this section is a work in progress and will remain so for some time to come.